Insideworldfootball columnist, Osasu Obayiuwana, a member of the now dissolved FIFA Task Force Against Racism and Discrimination, shares his personal experiences and disappointment with FIFA’s half-hearted attempt to address racial and discriminatory issues in football. FIFA’s decision, that they had enough of the Anti-Racism Task Force – set up to help excise a cancerous scourge on the game – came to me as a run-of-the-mill e-mail on Friday, the 23rd of September 2016. There was nothing special about that evening, as I was doing some work in Lagos, Nigeria, when I noticed the pop-up on my computer screen and I opened the email attachment. But what I subsequently read, in a letter from Gerd Dembowski, FIFA’s Diversity and Anti-Discrimination Manager, certainly gave me a jolly good jolt and changed my mood for the rest of that day. To say that I was gobsmacked, after I had finished reading the letter, was the understatement of last year. And I was certainly not the only one. “After failing to deal with racism sufficiently for decades, why stop, when something is beginning to work?” asked Ivorian Yaya Toure, the four-time African Footballer of the Year and Manchester City player, who was a fellow member of the Task Force. “Are FIFA being complacent ahead of a World Cup in Russia? This makes no sense,” Toure said. How could we have fulfilled our “temporary mission,” as Mr Dembowski claimed, when the Task Force had no concrete engagement with Russia, with regards to the 2018 World Cup, which will be staged in barely 18 months from now? And how could we have fulfilled our “temporary mission,” when FIFA has failed to take any strong, direct action to change the attitude of several Football Associations and Federations towards racism, particularly in Spain, Italy and in several parts of Eastern Europe? These were the unresolved issues that were the subject of intense debate, since May 2013, between the members of the Task Force and the FIFA administration. Our group included South Africa’s Tokyo Sexwale, the ex-South Africa cabinet minister and close friend of the late Nelson Mandela, (Sexwale was a FIFA presidential candidate in 2016), AIPS president Gianni Merlo, Theo Van Seggelen of FIFPRO, the world player’s union, Piara Powar of FARE (Football Against Racism in Europe) and Howard Webb, the former English Premier League Referee. The letter from FIFA was particularly grating, as I had discussed the inactivity of the task force with Gianni Infantino, the incumbent FIFA president and Fatma Samoura, its Secretary-General, in Abuja, when both came on a visit to Nigeria, in July 2016 – only two months before. My conversation with them did not give me the impression that they saw the Task Force as a relic of the Sepp Blatter era, which they were determined to consign to the scrapheap. But when, weeks later, a source in FIFA intimated me, not in the warmest of tones, that I should “be expecting a letter very soon, on the future of the Task Force,” I knew that its ‘Nunc Dimittis’ was being sung, which the letter only confirmed. After putting the news of the dissolution of the Task Force, (as well as a copy of the letter), on my twitter handle that same day, I decided to sit back and let the chips fall where they may. What was your reaction to the letter/being told the committee has been disbanded? Was the committee a success, was there still more work to be done? What does this say about the new FIFA under Infantino? My strong response to these questions formed the basis of his report, which went global and did not exactly do FIFA’s image any favours, particularly on Monday 26th September. It was the day that Fatma Samoura was making her first public appearance, as Secretary-General, in England, where the world football governing body was naming the winners of its ‘Diversity Awards’. It was, as they say, the perfect storm. With former BBC journalist and former FA Director, David Davies and Andy Burnham, a former UK Secretary of State for Culture, Media and Sport, amongst those criticising FIFA for what they saw as a strange decision, it was an unexpected baptism of fire for Samoura, who had to defend the decision to dissolve the Task Force. This sad end to being part of a group I sincerely thought could actually play a key role in making real and sustained change to attitudes in the game (a thought that my colleagues, like Jens Weinreich, believed was incredibly naïve) is a far cry from March 2013, in Marrakech, Morocco, when this personal journey began. At the personal request of Sepp Blatter, the immediate past president of FIFA, he asked me to be a part of this working group, knowing my very strong views on the subject and what I felt should be done about them. The very first meeting of the Task Force, on 6th May, 2013, officially chaired by Jeff Webb, the disgraced CONCACAF president (now convicted by a US Court for fraud and racketeering) – but with Sepp Blatter and Jerome Valcke in attendance, in the basement of FIFA’s HQ in Zurich (which usually hosts its executive committee, now council meetings) was promising. All the right sentiments were expressed about tackling a problem that was highlighted by the treatment of Ghana’s Kevin-Prince Boateng, then playing for Italian Serie A side AC Milan. Boateng walked off the pitch during a friendly match against Pro Patria, a fourth division side, in the town of Busto Arsizio, in January 2013, after he was racially abused by the fans there. Although Boateng was appointed as the first person, by Sepp Blatter, to be a member of the task force, in a high-profile ceremony, the fact that he never attended any of our meetings was an irony not lost on me. That we were having discussions about racism without the consistent presence of active players, was, to put it very diplomatically, particularly odd. Serey Die, the Cote d’Ivoire midfielder, who plays for FC Basel in Switzerland, attended our very first meeting and was never seen again. Jozy Altidore, the USA international, also co-opted as a member of the Task Force, did not attend any meeting either. Yaya Toure, the Manchester City midfielder, also co-opted onto the Task Force, found it impossible to attend meetings but was involved in other task force activities. That meetings were scheduled to take place at times that players would not be released by their clubs to travel to Zurich did not help matters. Being a governing body for the sport, well aware of players’ work schedules, it was odd that they did not think of this important point. There was, in the main, a general consensus that only a two-pronged approach – stiff sanctions for racist behaviour, as well as a programme of education for the global fraternity, to change ignorant attitudes and the mind-sets of those with prejudice, was the way to go. I did warn the group, not once, that there were several national associations, particularly in Europe, where it was evident that they lacked the internal capacity to deal with the problem of racism and required direct intervention from FIFA – and the credible threat of sanctions – to ensure that they actually did something about it. After our first meeting in May 2013, we had a second meeting on September 12th, four months later. Russia – and how it was going to confront the problems of racism within the game, ahead of the 2018 World Cup finals, was a major topic for discussion in the Task Force. Jerome Valcke, the disgraced former FIFA Secretary-General, may have lost all credibility, as the result of the 12-year ban imposed on him, for six violations of its Code of Ethics, by the governing body’s Judicial Chamber. But since the old saying goes that ‘even the devil deserves his due’, I have to make clear that he made poignant observations that we, as a Task Force, had a huge responsibility to dialogue with the Russians and come up with a credible plan to improve the state of things there, which had been clearly exposed in a study done by Football Against Racism in Europe (FARE), in association with the SOVA Centre in Moscow. During the 2014/2015 season, they logged 92 incidents of discriminatory displays and chants by Russian fans in and around the stadium, against a total of 83 for the previous two seasons put together. And, as far back as 2008, Andre Bikey, the former Cameroon international, admitted to the London Daily Telegraph that he carried a firearm, for personal protection from violent racists, while he was playing for Lokomotiv Moscow. “Russia has a different mentality. For a black person, it is very hard to live in Russia… I’m a big guy and maybe you think you can fight people off, when there is one, two or three people trying to attack you. But when it is six or seven, you cannot do this. This is why I had to buy a gun,” he told the paper. “When I moved to [English club] Reading, I gave it (the gun) to one of my friends in Moscow. There are things I want to forget, about my time in Russia. “You would go onto the pitch and as soon as the game starts, you would begin to hear the fans saying bad things. It was not easy to hear those things. The police did not protect us,” Bikey said. The harrowing tale of Bikey – and other players like him – fuelled my personal determination – and certainly that of other members, like Tokyo Sexwale and Piara Powar, that we, as a Task Force, needed to do something serious and sustainable, about bringing this horrible problem to an end – or at least, reducing it. But after our second meeting, ominous signs began to show that the work of our group was not being taken seriously by certain members of the FIFA administration. After the meeting of 12th September 2013, there was no single meeting of the Task Force for over one year – 15 months to be exact. It was a pathetic and extremely disappointing state of affairs that certainly sowed the seeds of despondence in my spirit. I – and, as far as I know, other members too – did not receive any meaningful communication from FIFA, on why no meetings were called. Jeff Webb, then CONCACAF president and the chairman of our Task Force, before his arrest and subsequent conviction by the US justice system, publicly said as much, at an embarrassing press conference in Rio de Janeiro, during the 2014 World Cup in Brazil, to mark its Anti-Racism/Discrimination Day. Eleven months into the 15-month interregnum – and after I had consulted with other concerned members of the Task Force – I decided to write Sepp Blatter, Jerome Valcke and every member of the Task Force, about the “unenviable, if not embarrassing position” we found ourselves in. “Considering the scope and seriousness of the work the Task Force was given to carry out, I am very surprised, to say the least, that we find ourselves in this unpleasant situation, where our work has, for all intents and purposes, come to a perplexing halt,” I told them on 7th August 2014. “The watching world will judge the Task Force’s members and FIFA very harshly, if they come to the conclusion that the Task Force did nothing concrete about the problem of racism in the game. For now, the jury is still out on us,” I warned them. I never got a reply to this letter, from any member of the FIFA administration, right up to the moment that the third – and very last meeting of the Task Force took place, on the 2nd of December 2014. Illness made it impossible for me, at the very last moment, to attend that meeting, the last chaired by Webb, before his tales of woe and subsequent disgrace began. But the suggestion, at that 2nd December meeting, that the Task Force should have had its fourth session in Russia, in order to have meaningful dialogue with that country’s football federation, as well as its World Cup Local Organising Committee (LOC), never saw the light of day. Webb’s subsequent arrest at the Baur au Lac hotel in Zurich, on 27th May 2015, after the Swiss authorities acted on a US arrest warrant, in which other members of the FIFA executive committee (as it was then known) were arrested and subsequently extradited to the United States for trial, brought a rude, dramatic and certainly unexpected end to his chairmanship of the Task Force. DR Congo’s Constant Omari, president of his country’s football association and a member of the FIFA Council, was appointed as Webb’s replacement in September 2015. But not a single meeting was held under Omari’s chairmanship until the Task Force was dissolved. My email to Omari, on 26th August 2016, asking him why no meeting had been called never got an answer. It was only when I saw him, at a CAF media breakfast meeting, on the 4th of February, at the Radisson Hotel in Libreville, Gabon, during the recently concluded Africa Cup of Nations, that he finally gave me an answer. “There was no direction from the FIFA administration on the entire issue, so I was in no position to say anything to you,” he said. It was an excuse that I found untenable, as he could have certainly explained this to me in confidence, as a member of the Task Force. From the time I was appointed to the Task Force, on the 29th of April 2013, until its dissolution on 23rd September 2016, I only made one public statement – to the BBC World Service’s ‘World Football’ programme, on the workings, activities and frustrations of being a part of a Task Force that was clearly not working properly. (I must state that I am a longstanding reporter and pundit for this programme). And that was only after my conversation with Infantino and Samoura. That, for anyone who knows me and my very robust style of journalism, is a show of unusual restraint. During my 41-month stint, I received several requests, from CNN, the BBC and several media organisations around the world, to comment on the work we were doing. But I refused to do so, because it would not have promoted the required atmosphere and ambience for Task Force members to have brutally frank and robust dialogue during our meetings, if they were afraid that their comments could end up on the pages of newspapers. The time for silence has since ended. I am extremely concerned with the attitude of the current FIFA administration and they need to be told the unvarnished truth – the disbandment of the Task Force is a grave mistake. And not allowing it to have taken on the task of dealing with Russia, ahead of the World Cup, was also a faux pas. That FIFA does not have a concrete plan to deal with errant member associations, where racism is endemic, is extremely disappointing. There are quite a few – Italy, Spain and several countries in Eastern Europe. 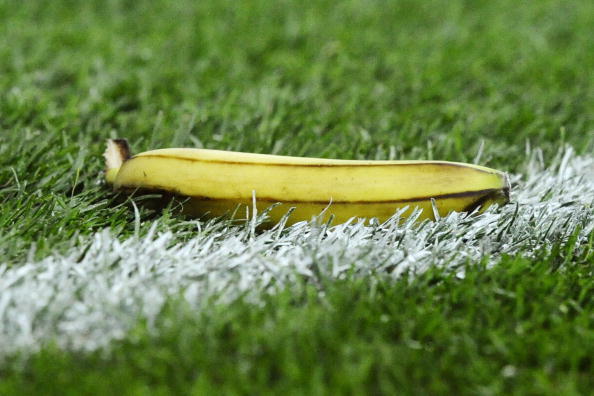 Carlo Tavecchio, the current president of the FIGC, the Italian FA, received a six-month ban, from UEFA and FIFA in 2014, after making racist jibes about “banana-eating” African players being allowed to have careers in Serie A. Before the UEFA and FIFA bans, an internal FIGC investigation shockingly found him innocent of any wrongdoing. That speaks volumes about the prevailing attitude in Italy. Israel, where club side Beitar Jerusalem have openly discriminated against Arab players and are not been exactly welcoming to people of African descent, also needs FIFA’s attention. These countries, and many others, do not have the political will to confront these problems. And it is only the big stick, which only FIFA can wield, that can enforce – or at least, promote – sustained change. Many people have asked me whether I regret my time on the Task Force. As with many things in life, there isn’t exactly a straight ‘yes’ or ‘no’ answer to that; Having the opportunity to see, from the inside, how FIFA works was an extremely educative experience and I would not change that for anything. It has certainly given me insight into how it functions or dysfunctions. This knowledge certainly cannot be bad for a journalist that reports and comments on global football governance. But as a member of the football fraternity, who thought that he could actually make some impact in confronting the scourge of racism and discrimination, I am, to put it very mildly, bitterly disappointed. FIFA has an obligation to do better. At the moment, it is just not doing enough, when it has the power to do a hell of a lot more. Lilian Thuram, the 1998 World Cup winner with France, offered some telling advice for FIFA. “I am extremely shocked that such an important organisation that can reach millions of people, especially children, can say, in 2016, in this global political situation, ‘the job is done’. I couldn’t have put it any better than the former Juventus player has done. But will the game’s guardians realise the error of their ways and do the right thing, in the end? That is a question that only posterity can answer.